This post delivers its readers the knowledge of the concept of wireless electricity which is considered as one of the most dominant technologies of the future. 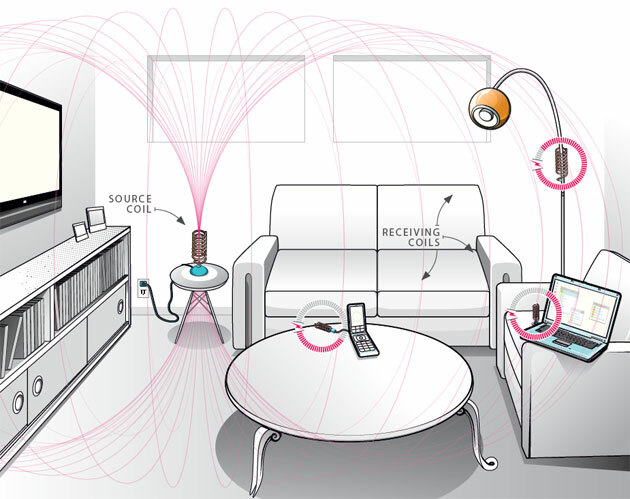 Similar to Wi-Fi and satellite communication which are modern data communication techniques where data travels from one location to other wirelessly, the concept of wireless electricity deals with travelling of electricity from one location to other wirelessly. 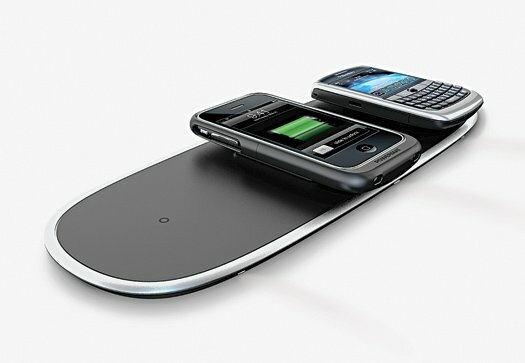 Wireless electricity is transmitted between a device and its power source via fitted metal coils. "One coil is the source, the other is the device. The source generates a magnetic field which induces a current in the device. This is converted into the power the device wants to use." 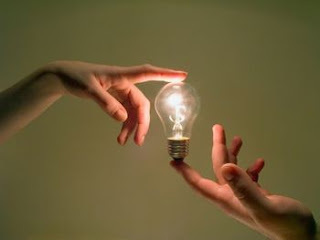 The goal is to transmit electricity over mid-range distances - so electricity from a wall to the middle of a room. It all started in 1905 when a Serbian inventor “Nikola Tesla” got an idea to build a huge 18 story tower in Long Island. 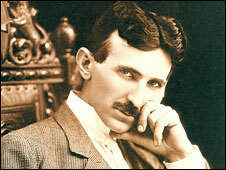 His aim was to create the world's first power station that would transmit wireless electricity around the globe. Unfortunately the dream never saw the light of the day. His financiers, including JP Morgan, withdrew funding. Hence, the project was eventually abandoned. The tower, became Tesla’s bold failure and a token memory of his high debts. Imagine your house. Look under the table and there's a coil. 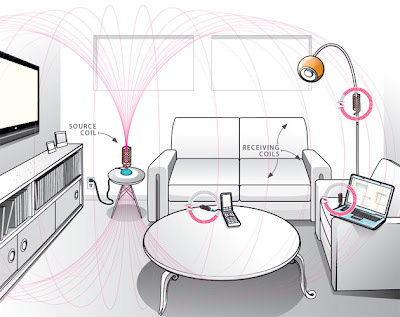 You see multiple devices working from a distance away such as your TV, microwave, fan, lights. So you come home and your phone is in your bag or you just put it on the table and it starts getting charged itself. You don’t have to even move your head looking for an empty socket for charging your phone. "Imagine a pacemaker that never needs to be replaced or a car that starts charging as soon as it's parked. 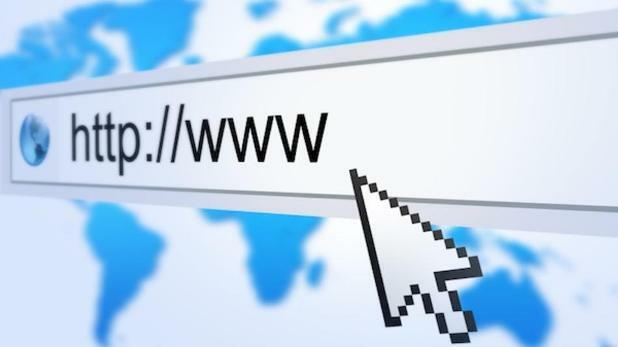 Five years from now it will seem obvious - it's only today it sounds futuristic." However some say the technology is still far from perfect. Although researchers agree that wireless power is not as efficient as using a cable, but the environmental difference makes is considerable. "A wireless keyboard uses four batteries. And about 40 billion of these are made this year worldwide. Building a single battery affects the environment equivalent to driving a car 3 miles on road. The greenhouse emissions will be reduced. Household devices produce relatively small magnetic fields. Therefore mutual induction only happens if the coils are close together. A larger, stronger field could induce current from farther away, but the process would be extremely inefficient as magnetic field spreads in all directions, therefore this principle becomes inefficient. Hence resonance is added to the equation. As electricity travels through this coil, the coil begins to resonate. Its resonant frequency is a product of the inductance of the coil and the capacitance of the plates. If two resonating coils with the same frequency get within a few meters of each other, streams of energy move from the transmitting coil to the receiving coil. According to the theory, one coil can even send electricity to several receiving coils, as long as they all resonate at the same frequency. The researchers have named this non-radiative energy transfer since it involves stationary fields around the coils rather than fields that spread in all directions. The only trouble to introduce wireless electricity on a large scale is that all electronic products have to be first introduced with coils. Power-mat and My-Grid are also examples of wireless electricity currently available in the market. Many phones such as Nokia Lumia 920 are already in the market which charge themselves without plugging in using wireless electricity. Hence, once again technology has played an important role in changing all our lives and making everything easy.